Autor: Kappos, A.J. ; Saiidi, M.S. ; Aydınoğlu, M.N. 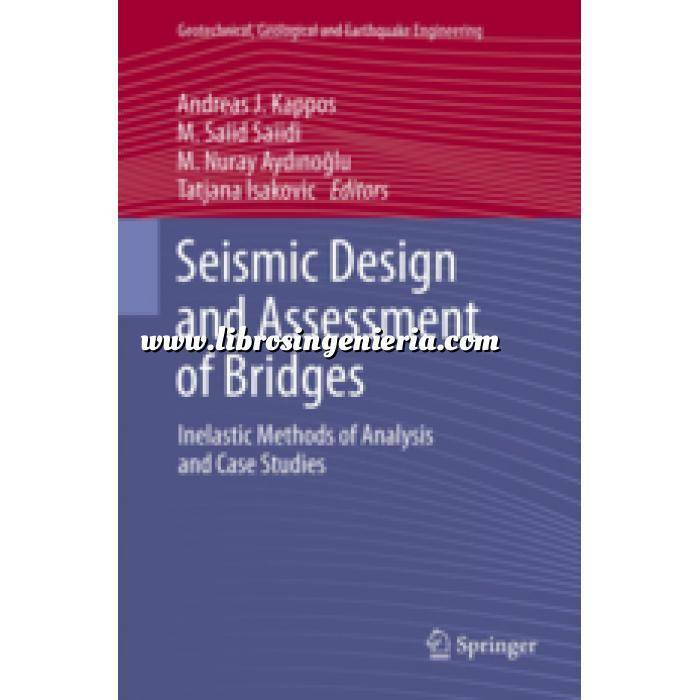 ; Isaković, T.
The book focuses on the use of inelastic analysis methods for the seismic assessment and design of bridges, for which the work carried out so far, albeit interesting and useful, is nevertheless clearly less than that for buildings. Although some valuable literature on the subject is currently available, the most advanced inelastic analysis methods that emerged during the last decade are currently found only in the specialised research-oriented literature, such as technical journals and conference proceedings. Hence the key objective of this book is two-fold, first to present all important methods belonging to the aforementioned category in a uniform and sufficient for their understanding and implementation length, and to provide also a critical perspective on them by including selected case-studies wherein more than one methods are applied to a specific bridge and by offering some critical comments on the limitations of the individual methods and on their relative efficiency. The book should be a valuable tool for both researchers and practicing engineers dealing with seismic design and assessment of bridges, by both making the methods and the analytical tools available for their implementation, and by assisting them to select the method that best suits the individual bridge projects that each engineer and/or researcher faces.